Ladies and gentlemen, I’d like to talk to you about Lizardmen. A friend of a friend once started a D&D campaign. The setting was a city in famine. Very dog-eat-dog or cat-eat… Well, you’ll see. One of the players decided he’d play a lizardman. When he entered the city, he saw a cat in an alley. Roleplaying the stupid lizardman, and perhaps drunk on his ability to eat furry things like cats, the player decided to chase the cat. In the alley a battle was initiated, which, in D&D, breaks time into 6 second intervals where you act based on chance (embodied by dice rolls for different actions). The lizardman rolled for initiative, but the cat won because it was small and quick. So it struck first, and because it had a large target and it was tiny, it easily succeeded in scratching the lizardman for a laughable 1 HP (Health Point). But no sweat off the lizardman’s back; he only needed to hit the cat once to take all its HP. Only, it was tiny. And fast. And, as a lizardman, he’d forgotten his one fundamental weakness–that he was a lizardman. He attempted an attack but missed. And then, more likely than not, he failed the dice roll that would’ve allowed him to see the group of 20 cats that came out of the rubbish piles around him. 20 feral, hungry cats. 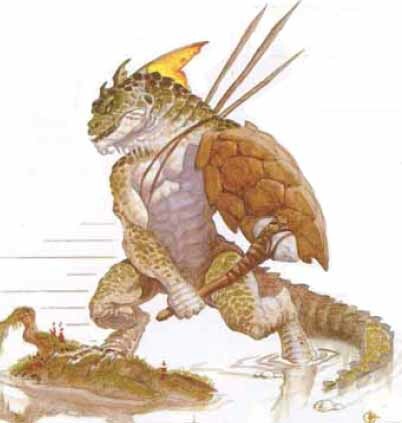 A starting character in D&D has a max HP of 12 at best, with no exception for lizardmen that I remember. So do the math. On the second turn, 20 tiny, fast cats all get an opportunity to hit the lizardman, and all of them will definitely hit. All for a laughable 1 HP each. The 6 seconds weren’t even up when the Lizardman died. Since time immemorial, Lizardmen have been the failures of the fantasy genre. Servants, useless foot soldiers, cannon fodder. I’m aware there may be a place where Lizardmen are winning, but that place is not here, nor is it anywhere that I’ve seen. Yeah, I’ll give you that. 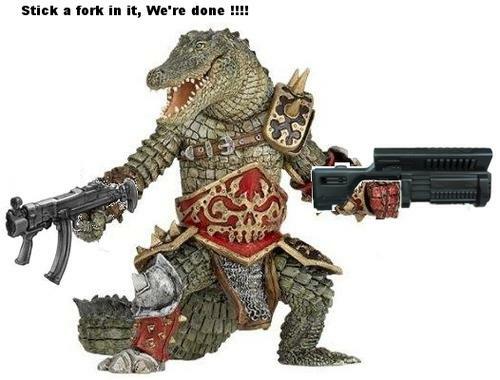 If there’s one thing Lizardmen do right, it’s look cool. But that’s part of the problem, isn’t it? They’re like very shiny used cars; they look like a great idea, but they’ll probably get eaten by cats. My D&D story aside, I’ve only ever found Lizardmen in the low threat tier of enemies in RPG’s, just above (or sometimes below) those sentient balls of jelly that find their way into EVERY RPG. My brother tells me that the Lizardmen in Demon’s Souls pose a threat, but he hasn’t been playing the game for long at all. And besides, from what I understand, everything is a threat in Demon’s Souls. Especially the jelly. In visual media, they’ve never faired any better. Just recently I saw an episode of Conan: The Adventurer where the cruel wizard Rathamon killed a Lizardman who was standing next to his throne. Why? Because he was angry. But also, I’m betting because he knew he could. I imagine Rathamon goes through a full bushel of Lizardmen on his bad days. Otherwise, we have Reptile’s performance in the Mortal Kombat movie, who, aside from being an absolute mess of CGI, completely dropped the ball in his battle with Liu Kang. I believe I’ve said enough about Bangaa. No. Wait. I should try. They… … they’re stronger than humans. 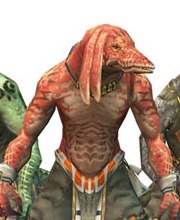 And also, unlike Final Fantasy Tactics Advance, the subsequent Final Fantasy XII did not feature a Bangaa playable character. Oh, and they’re astutely never called “lizardmen”. 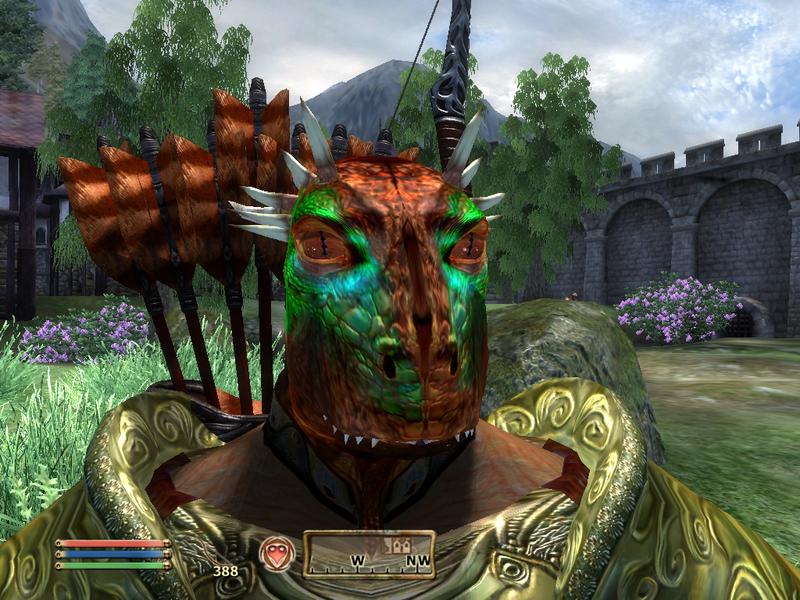 You may remember a similar situation in the Elder Scrolls series. 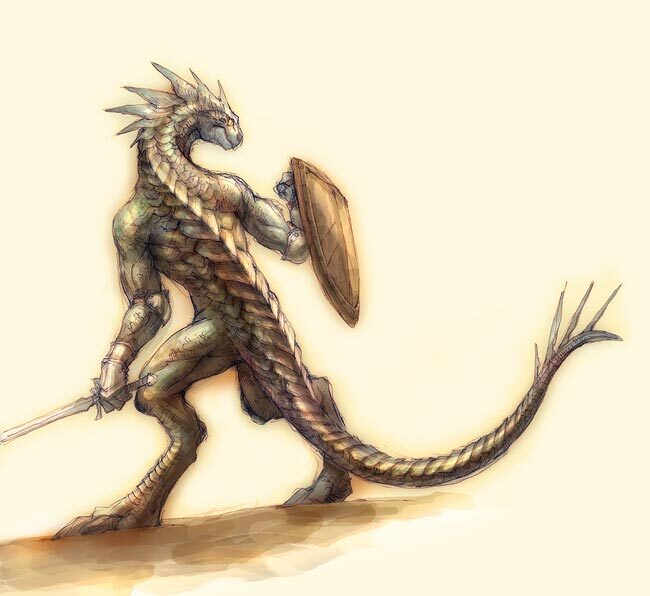 If you do, then you already know of “Argonians” and the two things that they add to the Lizardman mythos. 1) Lizardpeople are latently good at hiding. And also, stealing things. And 2) Lizardpeople don’t always look cool. But surely, there are Lizardmen out there who do count for… something, right? And the answer is, “Of course… Kinda.” Always only kinda. Reptile, for example, would totally count if at the height of his popularity he wasn’t just a dude called Reptile who showed his lizard face ONLY when you did one of his fatalities. A Spider-Man villain who the larger part of society doesn’t know. When scientist Curt Connors tries to grow back his arm with reptile DNA, he transforms himself into the monster known as (sigh) LIZARD! The funny thing here is Dr. Connors appeared in all three Tobey Maguire Spider-Man movies. Why didn’t they ever use him, you ask? They knew better. At his best, Lizard was a throw away villain who’s easily forgotten if not easily beaten. … Lizardman… Damn these names are great. … and you’ve get a lame character who’s damn lucky to be in a very popular series. I know. Where does that leave Lizardbeings (whatever)? Are they forever damned to fall to the wooden swords of Level 1 characters and feral cats? 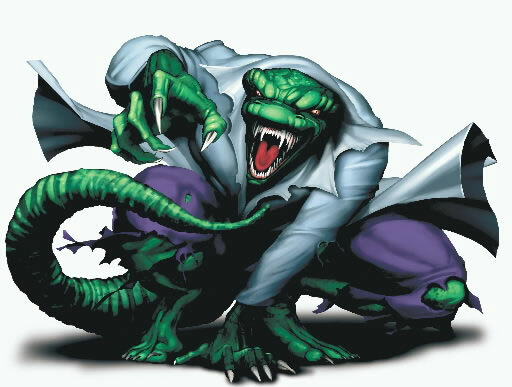 Will there ever be a day when a race of awesome Lizardbeings appear in a video game or work of fiction? Will a writer somewhere, someday, deliver them some majesty? I, for one, hope so. You lost Warhammer in the run, mate. I totally did. Complete honesty: I’ve never played Warhammer. Probably because it was too social and costly of a game and I was a poor, anti-social kid (the same way I’m now a poor, anti-social man). 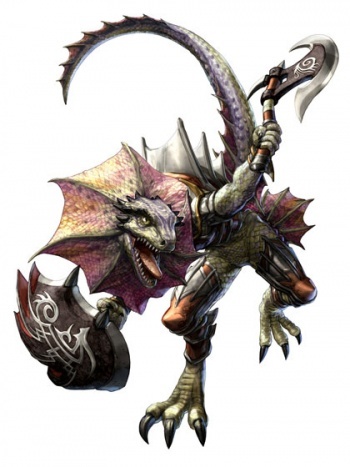 The idea of a Lizardman army that people like… choose to play? That blows my mind. I find it interesting that they started out as the Slann though–apparently a race of frog-like people (if I understood this video–http://www.youtube.com/watch?v=YFGccxCBBEU–correctly? ).